The presidential aide for national and strategic projects, Sherif Ismail, delivered a message on Sunday from President Abdel-Fattah El-Sisi to his Nigerian counterpart Muhammadu Buhari. In his message, Sisi stressed the importance of boosting bilateral relations across all fields, Egyptian Ambassador in Nigeria Abuja Assem Hanafy said in a statement. He added that Ismail is currently paying a visit to Nigeria, one of the stops on his African tour which will also take him to Gabon. Hanafy noted that the message discussed Egypt's readiness to provide its expertise to meet Nigerian needs, particularly in the field of infrastructure. The message also touched on Cairo's willingness to cooperate with Abuja across various industries, especially in the agriculture and medical domains, the ambassador said. 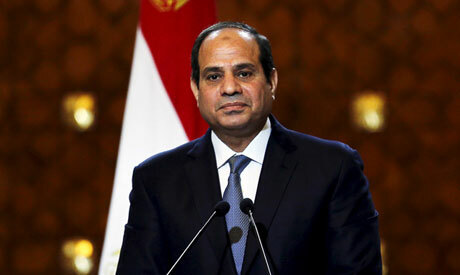 Ismail renewed President Sisi's invitation to Buhari to lead a high-level delegation of Nigerian senior officials and businessmen to mull over investment potentials in Egypt. Sisi also reiterated his enthusiasm regarding Buhari's participation in the second edition of the World Youth Forum, slated for 3-6 November in Sharm El-Sheikh, as well as partaking in the Intra-African Trade Fair, due to be held on 11-17 December in Cairo. The presidential aide also met with the Nigerian foreign minister to discuss ways of boosting bilateral cooperation and coordination, particularly since Egypt will chair the African Union in 2019.